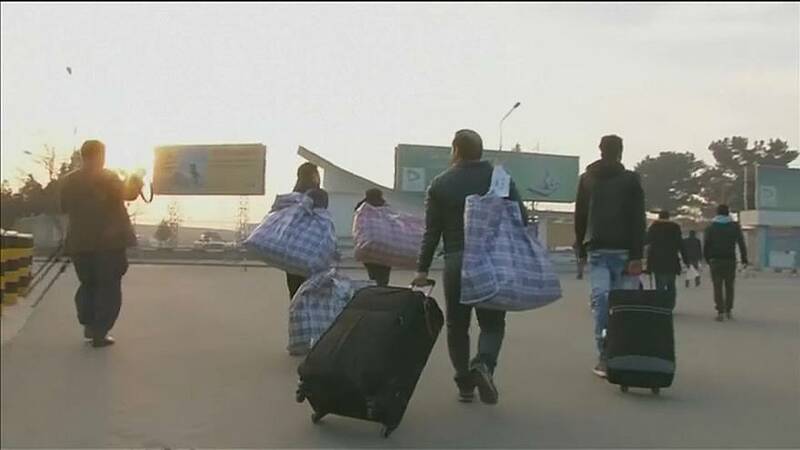 Human rights group Amnesty International is urging European nations to stop sending Afghans who do not qualify for asylum back to what it describes as their “deeply unsafe” home country. The call comes after a steady rise in violence over recent years as the Taliban has gained ground across the country. Amnesty claims the number of Afghans returned from Europe almost tripled between 2015 and 2016 to nearly nine and a half thousand. “No part of Afghanistan is safe to returned people so we’re actually calling for a moratorium on returns until such a time as the country could be deemed safer,” said Iverna McGowan of Amnesty International’s EU office. Afghans have been among the main groups of asylum seekers in Europe second only to Syrians. Amnesty said the Afghan government should not cooperate with sending people back,despite its dependence on foreign aid. International’s Researcher on Refugee and Migrant Rights. Amnesty has particularly criticised Germany for forcing more Afghans to leave and wants the German government to stop all returns. Due to the unsafe situation in Afghanistan, the German interior and foreign ministries agreed last August to limit returns to exceptional cases.